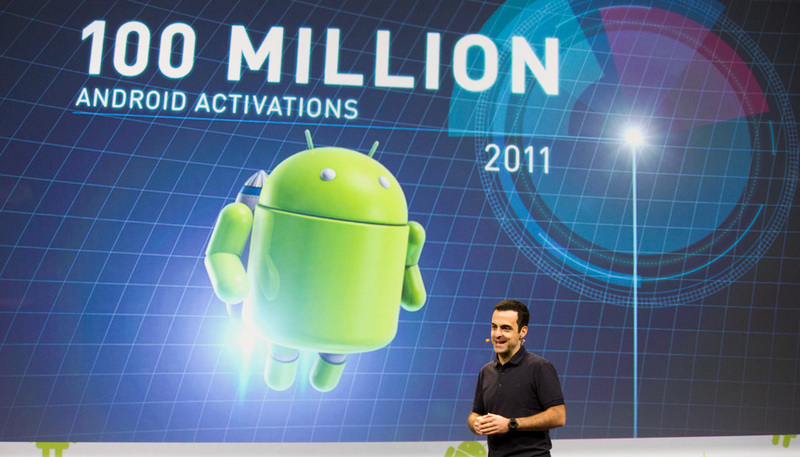 This morning’s Google I/O 2011 keynote kicked off to a great start with plenty of numbers to tout the success of Android. 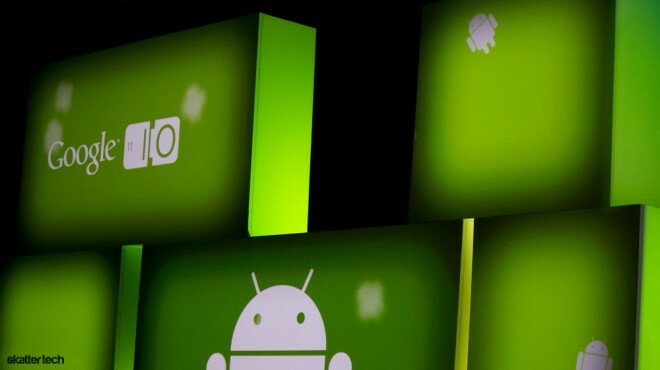 It all starts with one big statistic: 100 million activated Android devices. It is quite impressive considering that the entire platform is just a little over two years old. There are now approximately 400,000 new Android devices activated each day too. While Apple still has an edge with a selection of 350,000 in the App Store for iOS, Google now cites 200,000 in its own Android Market with over 4.5 billion installations to date. Hugo Barra, Product Management Director for Android, took the stage to announce even more interesting numbers. Since the T-Mobile G1 made a debut, Google has shipped eight major versions of Android. There are now over 310 Android devices available to consumers from 36 manufacturers and 215 cellular carriers in 112 countries. To top that off, Google claims there are now over 450,000 Android Developers building for the platform. Just for some perspective, Google was only activating around 100,000 devices per day at last year’s I/O 2011 conference and that number is now four times larger. While these growth rates are nothing less of impressive, the Android platform faces plenty of other criticisms. With attention directed at sales figures, many pundits point out flaws such as fragmentation. Customers often face inconsistent user experiences and rarely can enjoy new software updates. Competitors such as Apple has had better luck in this area due to a smaller product line and Google is taking note. About half way into this morning’s keynote, the company announced that it would partner with several carriers and manufacturers to ensure that handsets will get access to the latest versions of Android for at least 18 months. For those that didn’t have a chance to follow our minute-by-minute cover, visit Skatter Tech LIVE to backtrack through the entire day’s ordeal. We will also bring you instant updates from tomorrow’s keynote as well. We expect to hear news about the Chrome browser and Chrome OS Notebooks.